Cartridge provided and dumped by Zoop. based on a famous old-school comic from Hergé (Belgium). 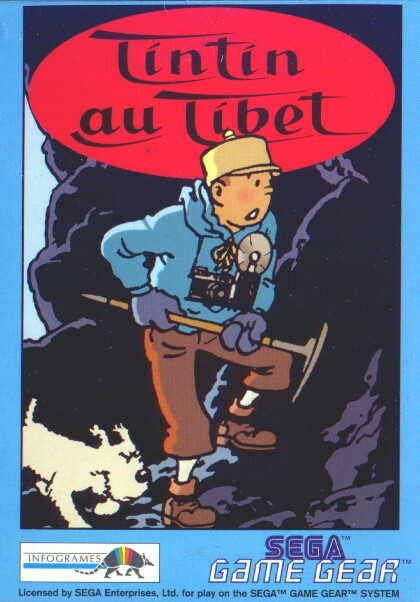 Travel with Tintin and him find his missing friend Tchang! Face and overcome the many challenges of the Himalayas as you travel from Katmandu to the Yeti's cave and beyond! Stay alert at all times, talk to characters along the way, collect the objects you need to complete your quest and remember.. Tchang's only hope lies with you..